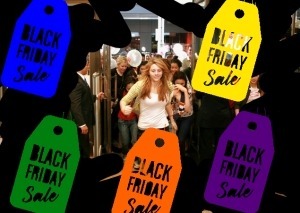 Data from Black Friday 2013 is in! At Wishpond, we wanted you to be the first to know! We’re shopping from our phones - Black Friday 2013 saw a huge jump in online sales. Our sleepy turkey tryptophan didn’t stop us from shopping - sales on Thanksgiving day grew to make combined Black Friday and Thanksgiving foot traffic sales over $12 billion this year.